One Center with two locations makes it easy for you to get the best dental care in the most convenient location. 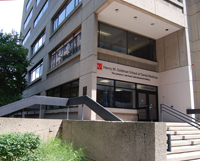 Located on Boston University's Charles River Campus, the 930 Commonwealth Avenue location features a newly expanded treatment facility that includes a state of the art oral surgery suite and digital x-rays in each operatory. This Center is also a multi-specialty practice, employing dental professionals who are trained in orthodontics, periodontics, pediatric dentistry, implantology, oral surgery, endodontics, prosthodontics, and general dentistry. 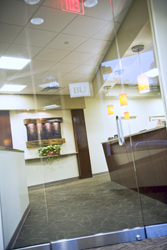 Located in Boston's South End, our 635 Albany Street Center is a multi-specialty practice employing long standing faculty. Faculty and residents are trained in orthodontics, periodontics, pediatric dentistry, implantology, oral surgery, endodontics, prosthodontics, and general dentistry.